Originally avaliable at Digitally Downloaded. Originally available on iOS and PC, The Lion’s Song is now also available on Nintendo Switch. And it is well worth playing. 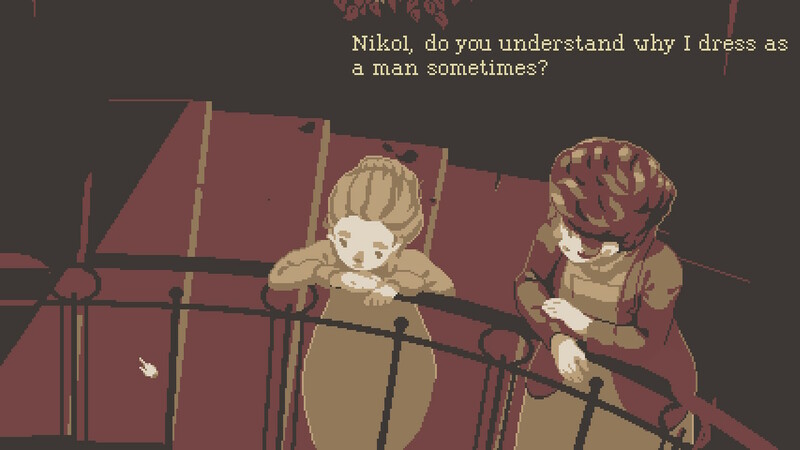 The games’ narrative takes you to 20th Century Austria, as you follow four characters and their creative trials and tribulations. The game is broken down into four chapters which follow each one of the characters as they struggle to succeed creatively due to both inside and outside forces. The opening chapter introduces you to Wilma Dörfl; a young woman who is an extremely talented violinist. Wilma is tasked with having to write a new piece of music whilst suffering from writer’s block. Her mentor, Arthur Caban, suggests she goes to stay in his cabin, away from the distractions of everyday life where she can focus solely on her composition. Wilma seems initially reluctant and it’s unclear whether she accepts the proposal to benefit herself or to please Arthur who she clearly is infatuated with. As The Lion’s Song progresses, you learn that Arthur discovered Wilma as he stopped over in the small town she lived in with her poor family overnight during his travels. Wilma played the violin to help support her family and Arthur’s invitation not only furthered her career but allowed her to support her family. Because of this it’s hard to determine whether her feelings are genuine or if they come from some sort of indebtedness. As The Lion’s Song is a point and click game, you progress Wilma’s story by interacting with the objects around her. Such things as telephone calls with a friendly stranger, love letters to Arthur, composition paper and more. You also make choices throughout the game that change your eventual outcomes and relationships with your peers. These choices are presented to you at the end of each chapter and allow you to see what other players had chosen. This is a feature that is always welcome in a game where such choices are present. The second episode focuses on a young man named Franz Markert; a talented artist who failed to enter Viennese School of Arts and Crafts and moves to be with his grandfather who supports his artistic passion and ability. His story focuses on both his ability to socialise with the correct people; building connections to help share his artwork but also to fight his inner demons when it comes to his artwork. He creates interesting artwork that works at revealing the ‘layers’ of a person. The different personas that they have in a sense. The story progresses as Franz fails to progress and better his own art due to not being able to see his own layers. His mental health suffers due to this and he eventually is able to overcome this obstacle and for the first time paint a truly intimate painting of himself with all of his layers bare. 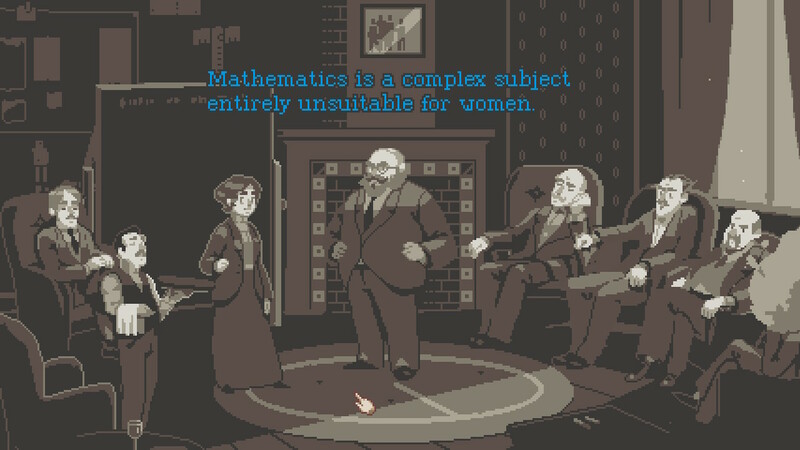 The third episode follows the story of Emma Recnizek – an incredibly intelligent mathematician who struggles to break through with her own research due to the sexist restraints forced upon her by the society at the time. It’s Emma’s story that really spoke to me: as a fellow woman it was heart wrenching to see her be openly mocked and not taken seriously just because of her gender. A librarian by day and a breakthrough mathematician at night, she is close to realising her theory on change, and therefore she wants to join the exclusive males only mathematicians club ‘The Radius’. Once refused, she ends up dressing up as a man so that she can enter. Through the story you end up unlocking mathematical equations that allow Emma to complete her theory which all comes to a head at the end of the episode where she is challenged and mocked in the university setting. The fourth episode takes a slightly different turn. It follows a journalist named Albert as he boards a train heading towards the outbreak of World War I. This episode doesn’t focus on Albert per se but more so how the other three characters in his train compartment know the three previously mentioned characters. You realise that one of the men is the little brother of Wilma and you learn more about her life before she became a famous musician. The anecdotes here really bring life to her character arc. Secondly, one of the men was a student at the university where Emma lectured. He explained that she wasn’t an official professor due to being a woman but that she was exceptional all the same. The two enlisted to fight in the war both for their own reasons; one to support his family and one to criticise the irony of war. The third man in the compartment was a fraud who copies artwork and sells them as the real deal which links him to Franz who he has copies many a painting from. He was drafted to fight in the war. There’s something truly special in ‘The Lion’s Song’ in how all of the characters are connected. Events that seem insignificant at the time are later revealed to be incredibly meaningful for the other person involved. The most prominent example of this is when Franz paints an intriguing mathematician that eludes him due to his hidden layers. He comments on the man’s baggy suit and asks some questions before the awkward man runs out. As Franz story is before Emma’s, this situation is just shrugged off as a strange yet seemingly meaningless socially awkward interaction. However, once you play Emma’s episode and realise that it was her dressed up as a man to further her own goals it all makes sense in the most beautiful way. It’s clear that a lot of love went into the game and everyone’s back stories and interactions. The music in the game is what you’d expect from a game set in this time period – classical. It works well to tie the themes, sepia tones and storyline together to make this a believable 20th century time piece. Wilma’s violin and her song aptly named ‘The Lion’s Song’ feature heavily throughout the entirety of the game. This illustrates that even though the characters are living their separate lives with their own separate creative struggles; they are also all linked in that regard. 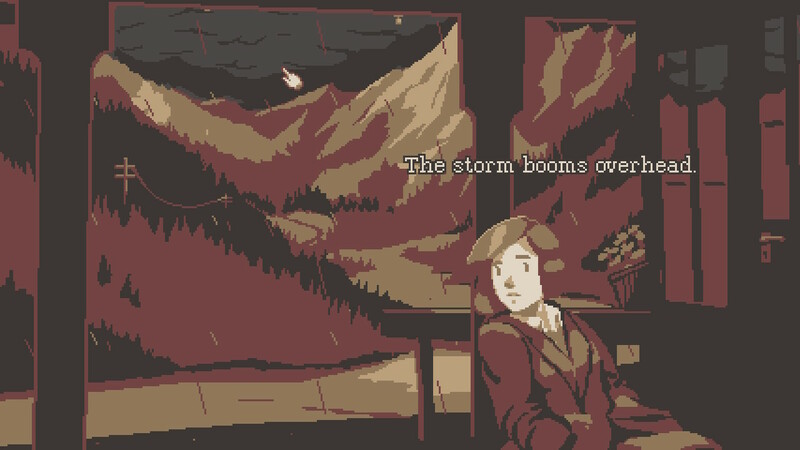 The Lion’s Song is a touching game that highlights individual’s creative struggles and how they overcome these hurdles in their lives. The struggles of the 20th century can still be seen in today’s society, so it is inspiring to see them discover themselves and overcome these hurdles. One of the most important sentiments from The Lion’s Song is that all of the characters are connected and no matter what they choose to do in their own life it impacts that of someone else’s. This is a wonderful take home message from the game itself which is no doubt worth playing for the touching experience alone. ← I Played The Neopets Board Game and it was FUN! I reviewed the first episode a few months back. I fell so in love with this game! This seems pretty interesting. Haven’t ventured into point and click games so far, but this has definitely piqued my curiosity. Really liked the review!